Special requests beyond these hours will be considered as scheduling permits. 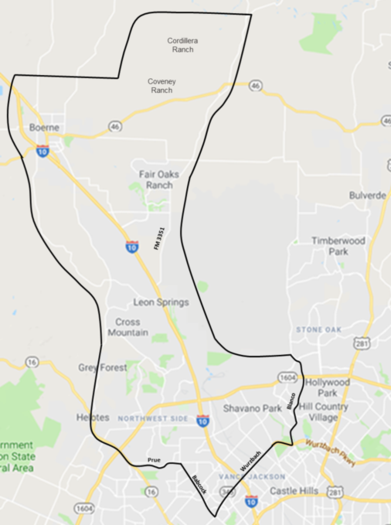 We serve the IH-10 West/1604, Leon Springs, Fair Oaks Ranch, Cordillera Ranch, and Boerne areas. Please check the map below for our service area. If you have a request outside of this area, please call us for availability and a quote.